How is seeking sensationalism like focusing on your favorite junk food and arguing why it is good? How do you feel physically when you forsake healthy food that is good for you to grow and thrive? How is this like forsaking good Bible teaching and succumbing to false teachers and bad fads? The context of this passage gives us comfort in our trials and setbacks because Christ Himself suffered. He, who is God incarnate, who totally did not deserve to suffer, suffered on our behalf. He endured great physical, mental, and spiritual pain on our behalf, and exemplified the attitude and conduct we are to have when we go through the tough stuff of life. Thus, when people say we will not suffer or that the world’s problems will not affect us, or we will not have tribulations well they are wrong, accordingly to Scripture. The call of biblical eschatology is not to have a theorem; rather, for us is to be prepared and equip ourselves for what lies ahead in life. Because we trust in Jesus first and foremost. We are not trusting in whatever hot idea is on hand today. We must have our expectations based on real biblical reality and in faith, so when something comes our way, whether it is a blessing or a problem, or a theory we can take it, examine it, handle it with excellence, learn, and grow from it. Then, in turn, we can be a blessing to others because of it. However, we cannot do that if we are not following Christ and taking heed to His Word and example, His grace, and His love so we want to respond. Otherwise, our ideas and desires will fill that gap and will get the best of us. The sins of others and the sins of our heart, a ell as misplaced loyalties to speculations will break us down and take us over unless we focus on Christ, His ways, and His path (1 Peter 4: 1-11). “Very words of God” refers to Scripture, the words that God has spoken to us. This means to be careful how you speak and minister and what we say as being Truth as we sometimes speak for God as He uses us! We are called to be good stewards with His Word, as we are called to live, serve, and do all that we do in life for the honor and glory of our Lord and Savior (Acts 7:38; Rom. 3:2; 1 Cor. 1:26-31; Jude 24-25)! As we minister Christ’s Word to others, be truthful in what it says, remembering context and real word meanings and not bend it to speculations and bad trends. Because, the context of this passage also means being charitable or generous to others with what Christ has given you, and to serve Him without being held back by fear, time, or lack of talent. See the connection to Truth and service and gifts in the passage? As Christians, we are to typify Truth, faith and reason together so we can exhibit the maturity needed to not just understand end times, but what really matters, make wise decisions and have a purpose in life. The context of 2 Peter to End Times means directly caring for those in need, such as the sick, infirmed, and poor. However, some Christians will have a specific call and empowerment to do this. People in the world may be more concerned for their own needs and agendas than they are for God’s clear doctrine and purpose, but as Christians, we are called to go beyond ourselves to serve others well (Titus 2). Kindness is the proof of authenticity (Rom. 2:1-4; 12:4-21; 16:1; 1 Cor. 12:7-11; Eph. 4:32; Col. 3:12-14; 1 John 3:16-23)! What can you do to be on guard against the sins and enticements of others bad theology and example? If you are not, how do you suppose the sins of your heart would break you down and take you over? What can you do about it? Remember, a bad heart and or bad thinking as well as not looking to Christ and His Word equals bad theology, equals a bad church, equals a bad life that does not glorify Christ! The end of the world is coming! Life and our opportunities are limited; so what are we to do? This and many other passages tell us that we are to have the attitude of Christ. Not that of pious fraud or prideful leaders who make it up as they go. Rather, we are to make every effort to represent Christ and make the most of what we are given for His glory (1 Peter 4: 1-11). Look at it this way. We are stewards of all that we have, whether small or great. The better we use our gifts, the more generous He is with us with more gifts, abilities, and opportunities, in whatever circumstances we find ourselves in. We are called not to waste our opportunities, or sit and argue or just be apathetic thinking why bother, since the end is near. We are called to be diligent and faithful to our call, talents, and prayer with love and hospitality. Biblical eschatology tells us to do what God has called you to do and do it with passion, truth, and in love! “Is near” refers to the period from the Resurrection of our Lord to His Second Coming; this is called the Last Days. This is not a time reference, meaning either limited or unlimited time, although it does mean that the longer we go, the less time we have. We can have a week left or another two thousand years. The point here is the End of Days is a period of time and covenant with Christ, and it will be marked by great sufferings. No one will be immune; we will all have to give account for our life. 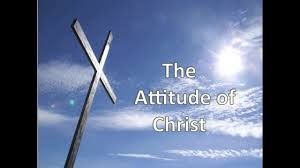 Looking forward to the End of Days and Christ’s return is also meant to encourage and influence the attitudes and actions of suffering Christians (John 5:27; Acts 17:31; Rom. 2:5, 16), therefore, be in serious prayer (Dan. 12:1-2; Acts 2:17; 1 Tim. 4:1; 1 Pet. 1:20). What we are to do is: Pray is meant to line us up in His will and with His empowerment (Luke 18:1; 1 Cor. 7:5; Eph. 6:18; 1 Thess. 5:17; 1 Pet. 3:7; 1 John 5:14-15). What we are to do is: Love, which covers means that real love continually forgives (Matt. 18:21-22; 1 Cor. 13:5; Eph. 4:32; 1Thess. 4:9-10; 2 Pet. 1:7; 1 John 4:7-11). This means we are to overlook the faults and transgressions of others against us within reason and with love. We are also not to gossip or slander one another (Prov. 10:12; James 5:20)! What we are to do is: “Hospitality,” specifically refers here to taking in travelers with generosity-not grudgingly or with complaining. In general, since we have Christ’s love flowing in us, it should flow to others around us. So in the last days, and that time is now, we are to be willing to give preference to others, to look out for and look after one another, and to share, with discernment, what God has given us, including our family, home, finances, and food. We are to have an attitude of stewardship where we do not own anything because we are merely the caretakers for the real owner, God. He desires us to share His stuff, and we comply out of reverence and gratitude to Him. Thus, as we come along side others, we are to welcome them and act out our faith in real, helpful kindness, generosity, and deeds. This includes providing help and lodging to fellow Christians, helping those who are being persecuted, and helping out in our community (Matt. 25:34-43; Luke 10:30-37; Rom. 12: 3-8, 13: 16:33; 1 Cor. 12:1-7; 1 Timothy 3:2; 5:10; Titus 1:8; Hebrews 13:2; 3 John 1:5-8). Does Love cover you? Do you use it to cover others? God’s love is the ultimate power for the Christian. Love is more than a feeling; it has segments and characters in it. Love is also a choice, a decision that must be perused and worked on (John 13:1; 15:13; 1 Corinthians 13:3; 1 John)! We are to be fueled and empowered by love in all situations. Christian love is the turning of our backs on our self-concerns and facing our neighbors. It is the surrender of our will to His. If love does not take us beyond our self-interests, then we have only lust and pride, not real love! God’s love must be our model for life. It must flow into us from Christ, and in return, flow out from us to those around us. Can you find where ‘apocalypse’ is in the Bible? I have seen it in movies, in TV preaching, from false teachers, from sensational books, on the cover of “Time” and so forth. But can you find it? I have tried, I tried hard to prove it and to disprove it and to just find it. I am sorry, I only been looking for it for 35 years, I read the Bible daily, and I can’t find it? And not to be facetious, I really tried. It is not in quality Bible Dictionaries like the ‘Oxford Dictionary,’or in ‘scholarly ones like ‘Colin Brown’ or ‘Kittel.’ Well maybe it is me, others claimed they have seen it, even wrote books on it. I know I am limited in my education of the Bible with just 2 PHD’s and of course seminary; but, I can’t find it! Anyone, anyone? So, where does ‘apocalypse’ come from? It is somewhat in the Greek word, well very somewhat. The word for, Revelation, is from the Greek title word “apokalypsis,” which the Anglicized version turns into “apocalypse.” However, in the Greek, this term means, “discourser of events,” as opposed to total destruction or end of days or something secret or hidden. Thus, even though Revelation is symbolic in places, it is not hidden to us when we take an honest look and compare it to other Scriptures rather than trends or newspapers. It also means an uncovering, an unveiling or, as we have it in the English, a Revelation. 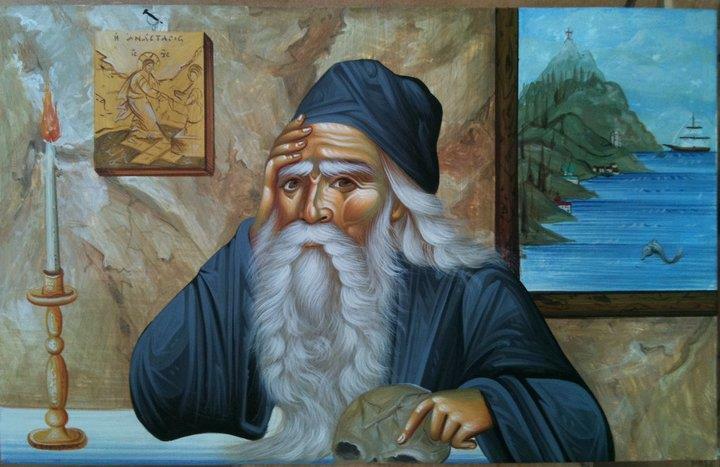 The other title that has been used is “The Apocalypse.” Thus, Revelation is a book of disclosure of John’s seven visions and God’s exhortations to encourage early Christians enduring severe persecution to remain loyal to Christ and Christ will retaliate against those who dare hurt His anointed (Judges 6:11-23; Dan. 7:16; 10:5-21). 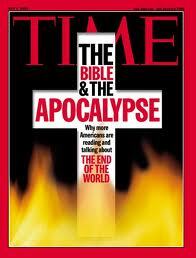 The word apocalypse has come to us in the last century to also refer to a trial, like the phrase, The hour of trial. This is a way to say the “Apocalypse,” or times of extreme hardship, trials, suffering, and/or being tested. This phrase denotes a widespread, universal (as throughout the Roman Empire) suffering as opposed to a local persecution. This can also refer to the “Great Tribulation” and/or the “Great Judgment” where we all go through tough times or our personal journey when times are harsh (Rev. 2:9-10; 3: 7-13). It has been used to refer to “To test those,” to mean we are purified and refined when we go through the consequences and quintessence of life. These have a purpose; nothing happens to us without a reason that is meant to teach and grow us (Job 23:10; Psalm 12:6; Prov. 17:3; Isa. 43:2; Jer. 11:4; Dan. 12:1; Matt. 24:4-28; Mark 13:19; 1 Cor. 4:3-5; 2 Thess. 2:1-12; 1 Pet. 1:5; 4:13; 5:1; Rev. 13:5-10). So what does apocalypse mean? From the original Greek rendering and from the contexts and actual intended meaning, it means ‘comfort,’ to be loyal to Christ, for His plan is unfolding. It does not mean what most people think it means, a total destruction or an end to the world, it actually means the opposite. Consider that, John is proclaiming an important fact we must all agree upon, that God is Sovereign and in control! He gave us grace that we did not deserve and a precious plan that will unfold. We have hope both now and in the future. That term may not mean what you think it means? If you really loved the Lord, and you love real Truth, and took to heart God’s Word the Bible, then you will do your best due diligence to find out what our Lord is really saying. Never seeking your way or pride or to force your assumption into God’s most precious Word! Right? Yet many do! We have the “popular problem,” with exegetical and or biblical Eschatology, as most people do not go to and take from the Bible; rather, they read into the Bible. Or what many people today seek-to just relate it to their personal traditions or trends or theological ideas or worse feelings. Yet, the Bible means what it means, says what it says! It real true Truth. “True-Truth” is mathematical and has a definitive answer; Scripture indeed has the definitive answers too-If we are willing to look. Most of the time they are in plain sight, because the Bible says what it says and means what it means. But sometimes we get to a term such as “beast” and wonder what that is. So we must ask, what is that, and don’t assume. A little careful research in quality sources will reveal it and its real truth. The real truth is not always what my denomination or theological framework or my favorite preacher or author has to say, or some comparison of it. Nor is it my truth or what is relative to my feelings, personal thoughts, or ideas predicated by my hurts or outlook or worldview. Real “Exegetical Eschatology” simply means we go to God’s Word and take from it and not read into it. With “our” truth, we go to God’s Word and read in our will and ideas, what is in it for us, and respond to how we felt at that time with a caring attitude to what the real truth is. In true-Truth we go to the Bible as surrendered beings, seeking to know and glorify Christ because He is Truth as is His Word. This is the science of Inductive and Exegetical Methodology. We get to the real Truth as revealed in God’s Word versus what we want to or feel may be true. After all, we are removed two thousand years from these times not to mention the language and cultural barriers from the original writings of the Bible from which we glean. Our goal in our postings is: What did these words from Scripture mean to the human authors used by the Holy Spirit as well as the hearers at the time, not from a newspaper today that is at a different time, culture, and language. This is what real effectual factual truth is in action and in application, asking the question what the bible clearly says in its actual meaning and context not what we think it should say. Do you read from the Bible or read into the Bible? Do you know the difference? It is the study of our Christian beliefs concerning the End Times and the Second Coming of Christ as taught by an rightful, truthful and logical exegetical analysis of Scripture. For us, this means when we go to the Bible, we realize it is a book written in a different time and language and to a different culture using images, symbols, and metaphors that we may not know as well as we think today. Thus, we are to assume a passage is literal until we get to a term that does not make sense or fit. Like, saying to a non-English speaker, it is raining cats and dogs, this statement will not make sense to them, just as beast will not make sense to an American Christian two thousand years removed. Thus, we will assume and may get it wrong; yet, with some due diligence of investigating, of what did that mean to the original hearers; like, what did John thought it meant. And, we can find that out very easily. So what do we do? We seek to do our very best to actually read the Bible right and seek its truth, in context, actual word meanings, while leaving our assumptions aside. This is the art and science of the logic of ‘induction,’ Inductive Bible study! Our other main goal is the application of what Francis Schaeffer said as “true-Truth!” What does the Bible really say? Not what I think the truth is, but willing to lay one’s truth aside for an honest investigation should not be feared; if you are right, Scripture will pan you out. If you are wrong, wouldn’t you rather be right on the side of the Bible, regardless of what others may think, or your own pride that may need to be swallowed? Then if you still feel your truth is correct and you did your homework, you are better off. But what usually happens is that we push our truth forward, ignoring logic, sound reasoning, and biblical exegesis such as, what did these terms and ideas mean in their original languages, set in their contexts, genre, and cultural meanings? So when we read the Bile, especially areas that may not make sense to us, or what we just always assumed it meant, or what the popular books and so called Bible teachers say, we are to investigate. What did these words from Scripture mean to the human authors used by the Holy Spirit as well as the hearers at the time, not from a newspaper today that is at a different time, culture, and language. This is what real effectual factual truth is in action and in application, asking the question what the bible clearly says in its actual meaning and context not what we think it should say. There is just too much bad and false teaching on this subject! The findings clearly show the more time in spiritual formation the increased joyful spiritual focus on Christ and effectual Christian living of the individual. Also what was asked is why is Eschatology important and how and why it is not important. The results of these questions were taken into account to the necessity of education of End Times precepts. It is the application of what Francis Schaeffer said as “true-Truth!” What does the Bible really say? Not what I think truth is, but willing to lay one’s truth aside for an honest investigation should not be feared; if you are right, Scripture will pan you out. If you are wrong, wouldn’t you rather be right on the side of the Bible, regardless of what others may think, or your own pride that may need to be swallowed? Then if you still feel your truth is correct and you did your homework, you are better off. But what usually happens is that we push our truth forward, ignoring logic, sound reasoning, and biblical exegesis such as, what did these terms and ideas mean in their original languages, set in their contexts, genre, and cultural meanings? What does this passage say? What does this passage mean? What is God telling me? How am I encouraged and strengthened? Is there a sin in my life for which confession and repentance is needed? How can I be changed so I can learn and grow? What is in the way of these precepts affecting me? What is in the way of my listening to God? How does this apply to me? What will I do about it? What can I model and teach? 10. What does God want me to share with someone? What does the word mean? What is the textual context? What is the genre context? What have others researched and taught on this passage? How does it add to your (and our) understanding? Richard J Krejcir. Into Thy Word. “Into Thy Word Bible Study Method.” Writers Club Press. 2000. Alan Johnson, Expositors Bible Commentary, I, II, Revelation. Zondervan. 1981, 1994. 14. Craig S. Keener. The IVP Bible Background Commentary. Inter Varsity Press. 1993. 20. Halley’s Bible Handbook. Regency. 1927. 23. Jerome H Smith, Ed. The New Treasury of SCRIPTURE Knowledge. Thomas Nelson. 1992. 25. John F. Walvoord, Revelation, Bible Knowledge Commentary, Victor Books, 1983. 30. New Geneva Study Bible. Thomas Nelson. 1995. 32. R.C. Sproul. Essential Truths of the Christian Faith. Tyndale. 1992. 33. Sturgeon’s Devotional Bible. Baker Books. 1964. 34. Warren Wiersbe. With the Word. Oliver Nelson. 1991. The primary exegete is Rev. Richard Joseph Krejcir, M.Div., Ph.D., is the cofounder and Director of Into Thy Word Ministries, a missions and discipling ministry. He is also the theologian in residence, at the Francis Schaeffer Institute of Church Leadership. 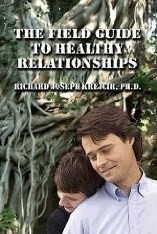 www.churchleadership.org/ He is the author of several books including, Into Thy Word, and A Field Guide to Healthy Relationships. He is also a pastor, teacher, and speaker. He is a graduate of Fuller Theological Seminary in Pasadena, California (M.Div.) and holds a Doctor of Philosophy in Practical Theology in London, England (Ph.D). He has garnered over 30 years of pastoral ministry experience, mostly in youth ministry, including serving as a church growth consultant. Thank-you for all for your attention and contributions and be blessed! Jesus is risen—He is risen indeed—Hallelujah! Jesus has all authority! He proved this by not only being God, but by being willing to come as a man to this earth and live the life we could not, nor would not do. He overcame our sins and our enemies (John 12:31; 16:33; Rom. 6:1-7; Rev. 1:17-18)! He kept His promise that He made to Adam to redeem us, and then He sent the Comforter to lead us on (Acts. 1:3; 2:24-35; 3:15; 4:10; 5:30-32; 13:33-37)! Jesus is risen. This means He conquered death (Acts 2:24; Rom. 1:4; 1 Cor. 15:50-58). We too, in Him, will undergo a similar transformation, as we live for Him, forgive in His name, are justified (Rom. 4:25; 1 Cor. 15:17), and will arise in eternity (John 11:25-26; Rom. 6; Eph. 1:18-2:10; Col. 2:9-15; 3:1-4; 1 Thess. 4:14-18; 1 Pet. 1:3). Without the resurrection, we do not have Christianity—as in saving faith. We just have some great rules and precepts to live by. Well, so do the Buddhists (1 Cor. 15:1-19)! A dead man, no matter how good and great, cannot save anybody. Buddha has saved no one! The difference is we are transformed, and saved for eternity—not just for here and now (John 10:4; 16:10; 2 Cor. 5:20). We are not called to save souls. That is the role of the Holy Spirit. Rather, we are called to help the “soul bearers” to learn and grow! The people then, as well as now, were confused about the end times and wondered if this was the end of an age or a new beginning. 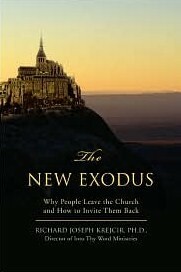 Jesus did not fit the expectations of the religious leaders or of His disciples. The religious leaders rejected Him. The remaining disciples had to surrender their will to His in order to know who He was and what He was doing in them (John 3:30). 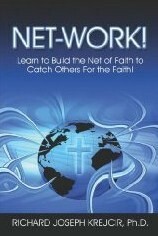 We cannot make disciples of others until first we, ourselves, become disciples of Jesus (2 Pet. 1:13)! The disciples bore witness to His call to make disciples of all nations; they were His witnesses and His messengers. What will you do about this today (Acts. 1: 22; 4:2, 10, 33; 2 Cor. 5:20)? The key to implement this is to realize who Jesus is—and His authority! When we have acknowledged His authority, then we can allow His work in us. Then, He can use us in the lives of others. The opportunities and potentials are limitless (Luke 10:17-20; John 15:7; Acts 20:24)! What can you do to help your church see the veracity of The Great Commission and do a better job of knowing Christ so they can then make Him known? What would your church look like doing this? What would your neighborhood look like? Verses just talking about your favorite end time’s scenario? What does Jesus’ statement, all authority, mean to you? How can this get deeper in you so you understand further that He is God, He is all powerful, He is all knowing, and, He is present everywhere? What would that mean to your spiritual walk with Him? Jesus tells us He will always be with you. How can this help give you motivation and comfort? What does make disciples mean to your church? What has your church done with Christ’s most important call? Why do so few churches and Christians do this? Why is this more important than a ‘correct’ and of course most if not all are not) view of End Times? What makes this passage the marching orders for our faith and practice? What have you done? Where are you lacking? What do you need to do? Do you believe that if you are committed to your beliefs (those that are not focused on Christ), and refuse to allow the Holy Spirit to convict you, you will remain in your sins and be unsaved? Why, or why not? If so, why? What are the barriers that keep you from knowing Christ? If your beliefs were untrue, would you want to know?